Our friend Ann, the magnificent chef/owner behind Sonoma Crust Bakery, came to visit us tonight and prepared a wonderful feast to share together. Mama and I were mesmerized watching Ann cook, and the meal was truly outstanding! She fixed a salsa with blistered tomatoes, charred corn, and herbs from our garden. The chicken breast was butterflied and seasoned to perfection, and she made bread rolls so fresh they were like clouds! We felt very lucky to watch this dinner being made specially for us, and we loved getting to spend time with Ann! 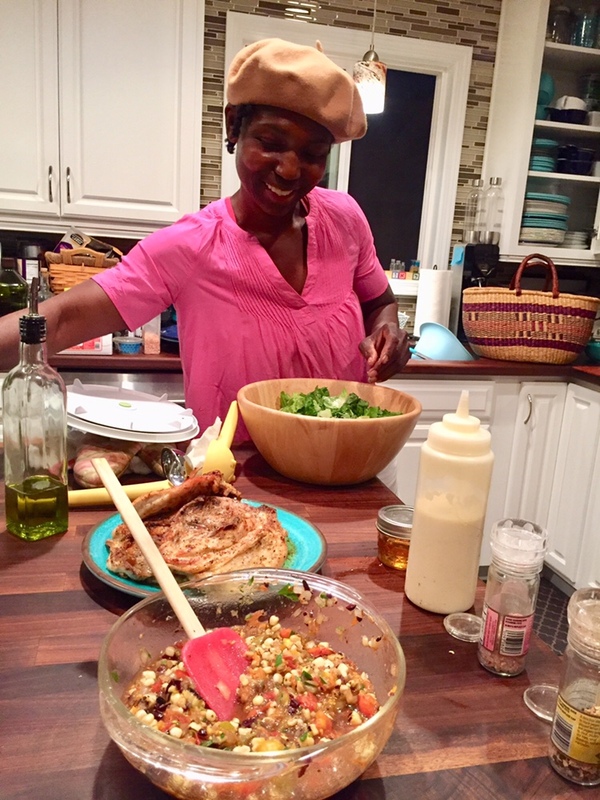 Today’s #OneGoodThing was enjoying another cook in the kitchen with Mama! Day 235 of 365. And Day 966 in a row (here’s the first 366 & the following 365)!